· We need Guest Name & Arrival / Departure details to process your booking. Due to specified time, your transfer vehicle for your next connecting destination may not be allowed to enter the hotel area. Under such circumstances you will be transferred from stand to the hotel or vice versa, in a local taxi ( Maruti Vans) for which the driver of your connecting vehicle will make the payment. Depending upon the situation the FHE may request you to make the payment which will be reimbursed to you immediately at the next station. The permit are issued free of cost from below places. 1. Ministry of Home Affairs, Government of India, Lok Nayak Bhawan, New Delhi. 2. All Indian Mission Abroad. 3. Immigration Officers at Airports at Mumbai, Kolkata, Chennai and New Delhi. 4. 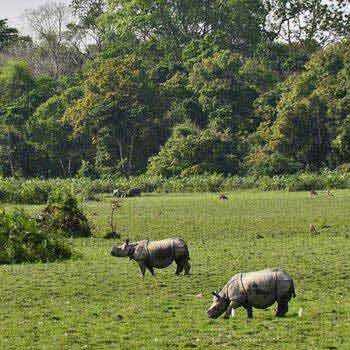 Tourism Department, Government of Sikkim, Pradhan Nagar, SNT Complex, Siliguri, West Bengal. 5. Tourism Department, Government of Sikkim. Panchasheel Marg. Sikkim House, New Delhi. 6. Tourism Department, Government of Sikkim 4/1Middleton Street, Kolkata. 7. Tourism Department, Government of Sikkim, Sikkim Tourism Office, Rangpo, East Sikkim. 8. Tourism Department, Government of Sikkim, Melli, Near Melli Police Check Post, South Sikkim. 9. Deputy Commissioner, Darjeeling, West Bengal. The foreign nationals should bring original & Xerox copy of Pass Port and valid visa for India alongwith two pass port size photograph and fill up the prescribed Application Form for RESTRICTED AREA PERMIT available in the office of the Sl. No. 4, 5, 6, 7, and 8 above and obtain the RESTRICTED AREA PERMIT. 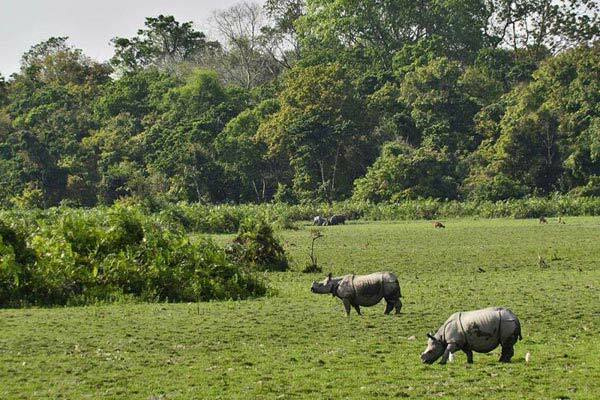 The Protected Area Permit under the Foreigners’ (Protected Area) Order, 1958 will be issued from the office of the Sikkim House, New Delhi and Tourism Department, Government of Sikkim, M.G. Marg. Gangtok in a group of two or above through the Travel Agents registered with Tourism Department, Government of Sikkim. The Inner Line Permit will be issued to the foreigners visiting Sikkim for a period of 30 days initially extendable to another spell of 30 days. 1) Any confirmation is subject to an advance deposit of 25% Of the package cost and has to be paid immediately, after that we can process the booking. 2) Balance Payment has to be made in advance and must be paid & as per time limit given at the time of confirmation. This is a special NON – REFUNDABLE rate. 100% of booking amount will be forfeited in case of cancellation. 1. It is mandatory for guest to present valid photo identification at the time of check in. 2. The inclusion of “extra- bed” with a booking is facilitated with a folding cot or a mattress as an extra bed. 3. Early check in or late check out is subject to availability and may be chargeable by the hotel. The standard check in time is 12Noon local time and the standard check out time is 11AM local time. 4. Optional service and facilities (such as room service. Mini bar, snacks, or telephone calls.) These will be charged at the time of check out. 5. The hotel reserves the right of admission. Accommodation can be denied to guests posing as a “Couple” if suitable proof of identification is not presented at check in. Neptune Holidays will not be responsible for any check in denied by the hotel due to the aforesaid reason. 6. The hotel reserves the right of admission for local residents. Accommodation can be denied to guests residing in the same city. Travel India Global will not be responsible for any check-in denied by the hotel due to the aforesaid reason.